Our today’s guest is Ario Dehghani. He came to Ukraine from Germany, where he worked for Hogan Lowells law firm and dealt with many compliance and ethics matters for a number of years. Now Ario is a counsel with Redcliffe Partners and focuses on helping companies with corporate compliance and ethics programs inter alia. If you are interested in the topic of internal investigations, you may read one of Ario’s recent published articles - Anti-Corruption Internal Investigations as an Effective Compliance Tool. Continue reading to learn about Ario’s experience in Ukraine, inspiration to become an American Chamber Compliance Club Co-chair, secret in the area of compliance, recomendation for a difficult situation and more. After 2,5 years in Ukraine, how do you find local attitude to compliance versus other countries? I fully live and work in Ukraine since May 2016. Before I also lived in Kyiv but was often traveling abroad. As a German lawyer I would compare the local attitude with the German one. The local attitude towards compliance is, of course, different. Compliance or obedience with the law is something that Germans have cultivated more strong into their society. The typical German is even confronting others who break the law directly or is going to the police and file a claim against any potential violator. So, not being compliant with the law can be even stressful and lead to a lot of daily confrontation when living in Germany. The local attitude toward compliance is a lot different. I remember my first “shock” moment in Kyiv when I witnessed that people even cut the line in the supermarket as if this was the most normal thing in the world. And, of course, driving in Ukraine is an adventure compared to Germany, although my family and friends nowadays say that I already drive like a real Ukrainian. I witnessed another “shock” moment when being confronted with local and municipal authorities, be it in connection with the residence permit, driving license and other necessary applications. The human being, no matter living in Germany or Ukraine, always functions in the same way. The biggest influencers for justice are penalty and encouragement. If you don’t penalize violations, everyone is getting encouraged to also violate if a violation brings any advantage. The German way of everyone directly confronting wrongdoers is a kind of indirect encouragement, because you don’t want to have confrontations all day long and you want to fit in. A former President of Germany needed to step down because of using the presidential plane only once in an unlawful way for a vacation flight. A former foreign minister needed to step down because someone alleged that his PhD was written by a ghostwriter. In my opinion, uncompromising law enforcement and the higher presence of state power in daily life would also be necessary to improve the compliance approach in our Ukrainian environment. But, to be fair, I also witness an ongoing improvement in this regard and more and more people standing up to “encourage” others to obey the law. So, I feel a bit more like in Germany already. What inspired you to become a co-chair of ACC Compliance Club? I am a compliance lawyer for 10 years and very active in the field of advising clients worldwide on all topics of compliance. 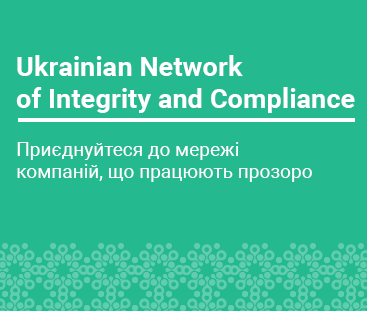 The ACC Compliance Club is one of the very few good platforms and educational events in Ukraine to discuss compliance issues with other colleagues and to learn together how to act more and more compliant in our Ukrainian compliance environment. I visited the AmCham Compliance Club 1 month after I started to work in Kyiv and wanted to be an active member and supporter of the Club since then. I like to exchange thoughts about compliance issues and strategies with others and to go in more detail when discussing experiences learned in the arena of compliance. I also wanted to create a platform which is not so superficial than other conferences we have, where panelists are buying themselves on the panels and present some superficial compliance statements and a lot of pictures with no educational content. Tell us one practical trick or reveal a secret that helped you professionally and can help compliance officers reading this. Communication and human connection is the most important thing when dealing with compliance issues. One of the most important skills you should develop as a compliance lawyer, no matter if in-house or not, is to build up human relationships and trust in a fast and solid way. The secret is that you must open yourself and let them feel that you are honest and trustworthy. People understand very fast if they can trust you or not. Don’t fake your presence and don’t try to dominate a situation. Try to build up a relationship of trust and honesty. For example, if you conduct a compliance investigation and you conduct interviews with employees of the company your goal should be that the interviewees are very comfortable and that they even feel confident feeling when dealing with you. This includes all steps before, during and after the interviews. If the employees of the company you are a compliance officer for do not trust you they will never open up or talk about the compliance issues which bothers them and/or needs to be addressed. I have a lot of clients who are in-house counsels and who tell me that they feel like Robinson Crusoe alone on an island. Try to include more people and build up an on-going communication. What do you recommend a compliance officer with limited independence upon revealing a material non-compliance: keep quiet, protect his or her position and push compliance agenda with small steps or to escalate and report internally losing the trust of local management and risk his or her position? Keeping quiet is a no go. You have to do your job. You also can get in big trouble when keeping quiet. One skill each compliance officer must have is to be able to also confront the management with compliance violations if necessary. The decision between “small steps” and “escalation” depends on the individual case. A good compliance system defines when the compliance officer must escalate to what level (e.g., department, management or board) and when not. It makes a big difference having a case of someone allegedly stealing toilet paper (let HR deal with that) and if someone allegedly bribes a public official which can lead to high risks for the company or if there is a pyramid kickback system in your company which brings a second income for several employees. Another important skill you should try to cultivate is to judge how strong the reaction of the compliance office needs to be to achieve the set compliance goals also on a mid-term and long-term basis. In this connection, you should always keep in mind and evaluate how much business can suffer when playing Clint Eastwood and shooting a loud and big gun. Sometimes it makes much more sense to initiate smaller steps and to react with a mid-term and long-term plan. In one of my compliance investigations in a country outside Ukraine we found evidence for a high-risk compliance violation and advised the client to investigate further and not to react strongly right away. The goal was to continue the investigation to understand more and more what people and companies are also involved in the violation and to what extent the company structure is undermined. After almost one year enough evidence was gathered to understand the full picture of the compliance issue, which would not be possible when hitting hard right away. In short: the less Clint Eastwood, the better. Only escalate if necessary. Why should local business or local branch be interested in compliance certification ISO or UNIC? Any reliable and good compliance certification can be helpful for a company internally and externally. UNIC and ISO are based on international compliance standards and can improve the compliance processes internally and the reputation of the company. The process to get an ISO or UNIC certificate is also not easy. It does not just include the signing of some statements that all is good. The applicants are getting assessed and informed what needs to be changed to comply with the standard and they need to show afterward in detail that they fulfill necessary requirements. For Ukraine both certificates are a chance to improve compliance and to get up to date with international standards. This can attract not only investors but also employees who like to work for a “clean” company. We hope you took something for yourself from Ario’s experience as I did. If you would like to be our next guest, please reach out through the form on our website or via Facebook and we will get in touch. Or feel free to suggest a question bothering you, and we will ask our next guest to share his or her view on this. Until next time, and preserve ethics in your actions and decisions. Pavlo is a Counsel with a global Tobacco company supporting business in the region of Ukraine, Georgia, Armenia and Moldova. He got his LL.M. degree in International Business Law from Tilburg University, the Netherlands. He also graduated from Ukrainian university with a Master degree in Business Law.